Thank you to the #PCMACL 2019 Shuttle Bus riders for making memories with us! 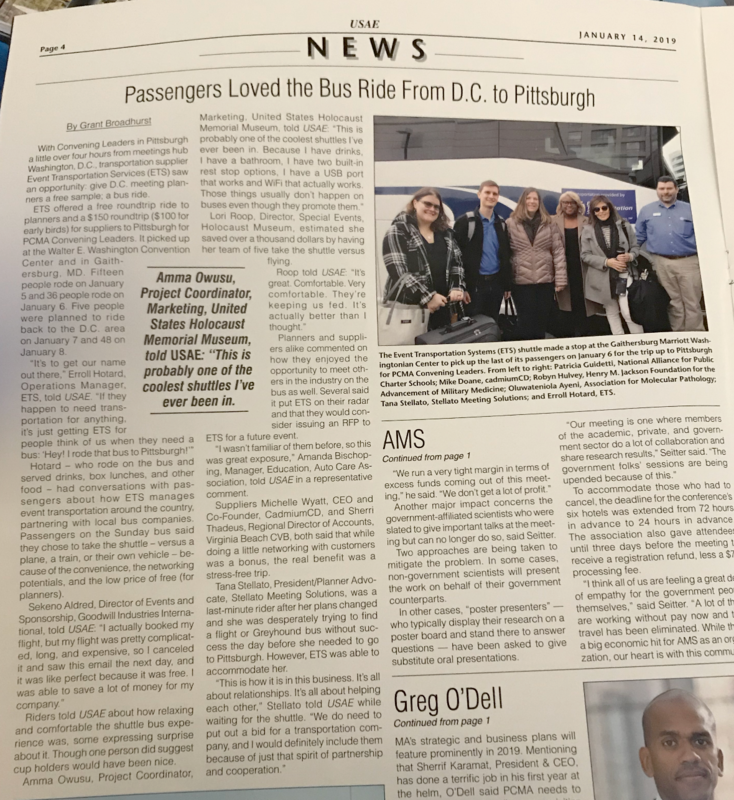 The January 2019 issue of PCMA Convene mentioned our partnership with PCMA Capital and Chesapeake chapters on this roundtrip experience to and from Pittsburgh. 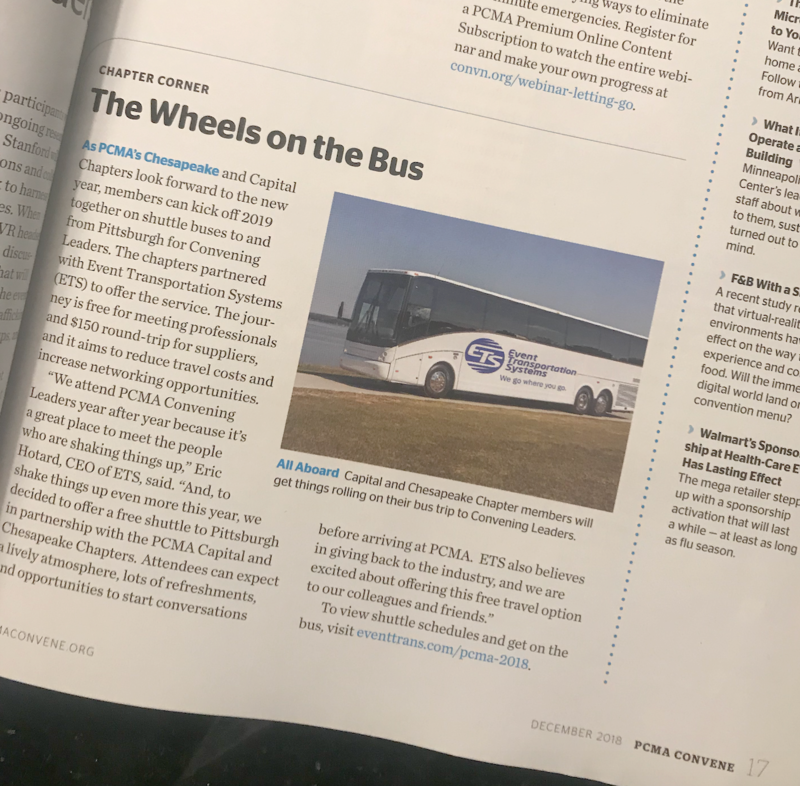 And USAE’s PCMA Show Daily on day two of Convening Leaders put together nearly a full-page story on ETS. At ETS, we go where you go. That’s our commitment to meeting planners everywhere. From providing transportation services to industry events like PCMA Convening Leaders, to making sure your attendees have great transportation experiences at your own conferences and meetings, we deliver exceptional transportation. We invite you to learn more about our transportation management services, Next-Shuttle App, and transportation sponsorship opportunities. We’re happy to talk through your specific needs and create a custom package that fits your budget.